Seen for the first time, the 3-D printed rocket engine was uniquely manufactured in a single piece without joins in partnership with additive manufacturer SLM Solutions. Given the extreme temperature and pressure fluctuations involved in space flight, this gives the engine an advantage over other rocket engines, which can suffer from weaknesses associated with joining and welding. 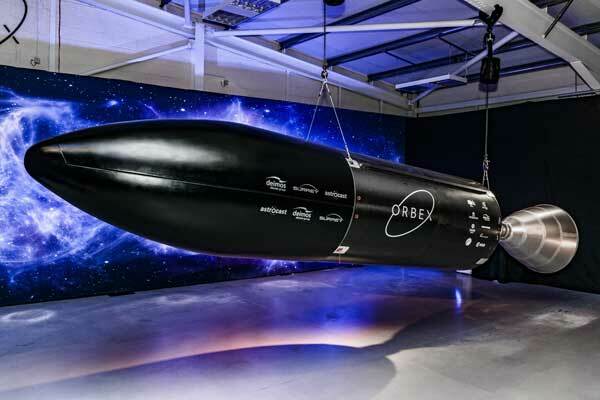 It is also the first commercial rocket engine designed to work with bio-propane, a clean-burning,renewable fuel source that cuts carbon emissions by 90% compared to fossil hydrocarbon fuels, supplied by Orbex’s new exclusive BioLPG fuel partner Calor. Just a wee bit unfair….PLD space in Spain is quietly going about their business..